Never was a story of more woe, than that of Juliet and her Romeo. New Art Theatre’s Living Classics Series is proud to present William Shakespeare’s timeless and most enduring play, Romeo and Juliet. The two star-crossed lovers capture and portray the essence of our humanity found in no other tale. The play’s deeply moving poetry, moments of hilarity, and startling acts of fury, express the widest possible range of our emotional and physical landscape.  Still as topical as it was 400 years ago, Romeo and Juliet reflects familiar themes about family, political unrest, good intentions gone wrong, and fear of the “other” that all too often leads to tragedy. And yet, in even the darkest times, as the play so beautifully illustrates, our human nature is still to seek love, redemption, and salvation. Matinee performances begin at 9:30AM; the running time is approx. 1 hour/ 40 minutes. One complimentary faculty admission is offered for every ten paid student admissions. Scholarships are available for students who need subsidy for admission. To make a reservation for a matinee performance of Romeo and Juliet send a message through our Contact page. Advance reservations do not require immediate payment. Teachers receive a letter confirming their reservation within days. Each performance of Romeo and Juliet will be followed by a talk-back, an intimate session where the actors and audience members discuss the play’s themes and how they relate to today’s issues and events. In addition, New Art Theatre offers school residencies and interactive workshops to foster a new understanding and appreciation of the play. New Art Theatre in Romeo and Juliet is also available for Day-Long Residencies on location at your school consisting of an on-site performance and student workshops in: ‘Acting Shakespeare’ and ‘Play Analysis: Romeo and Juliet’. Romeo and Juliet is a creative partnership of The Barnstormers Theatre and New Art Theatre together providing live professional performing arts for student audiences, ‘creating discriminating audiences for the future’.